Bill Smith, Editor and Blogger - Attending RightOnline 2012! The 5th annual RightOnline (2012) returns to Las Vegas, NV on June 15-16. As in the past, Americans for Prosperity has made RightOnline a part of the Triple Crown of meet-ups for conservative bloggers in the nation. This year, it again promises to be a featured event for conservative bloggers as well as for conservative activist. Top speakers detailed later headline the events. 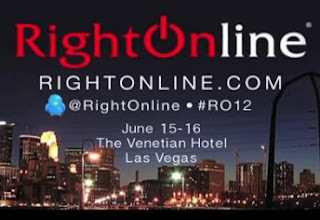 In 2010, RightOnline was also held in Las Vegas, Nevada and ; over 1,100 grassroots activists and bloggers from around the country came together to learn, meet, and exchange ideas on how we can advance conservative policies. Unfortunately, this will be the first annual RightOnline not held at the same location as the left-minded NetRoots Nation gathering. Rumors are that NetRoots Nation bloggers were tired of being hounded by right minded bloggers and activists and being upstaged by national conservatives at RightOnline. This year, NetRoots Nation just finished their event tucked away in Providence, Road Island and next year they will return to their true roots on the left-coast. I will miss the interesting interaction with the NetRoot's attendees. Unlike the present day Occupy groups orchestrated by thuggery, most NetRoots Nation bloggers were willing to debate and discuss their ideas. While we did not agree on the resolution of most issues or the purposes of government, we could finally agree to disagree before going our separate ways. I even have hope that many of these young activists will someday find themselves on the conservative side of issues. As a side thought, I wonder if the NetRoots Nation organizers found themselves overwhelmed in the past couple years by the zest and communications skills RightOnline speakers and attendees like Andrew Breitbart and others who thrive on public group discourse and cameras and did not fear taking on the left-minded in public discourse even when opposed 20-40 to 1. RightOnline 2012 is again a sell-out drawing both established conservative bloggers from across the nation and other new media activists. 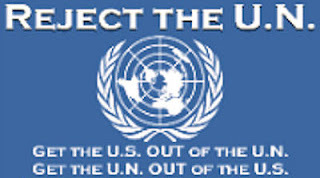 Besides bloggers, radio show hosts, conservative activists from TEA Parties, Patriots groups, American for Prosperity, Smart Girl Politics, etc. will be attending workshops on messaging and organizing their efforts when they return home. These new attendees may even meet and rub shoulders with an experienced bloggers or their favorite national celebrity speaker. This year, one of my favorite political social conservatives will be the headline speaker. Former Alaska Governor Sarah Palin will headline the events on Friday, June 15! Of course, I am biased having served on the Draft Sarah Committee and as an administrator of VetsforSarah Fan Page and numerous other Facebook groups encouraging Gov. Palin to remain involved in advancing the conservative message. When asked who we voted for in 2008, my wife and I proudly answer: "For Sarah Palin and the other guy." Several of my favorite fellow activists who are now national media lights and pundits on numerous networks and cable channel shows will be primary speakers. The following conservative women will join Sarah Palin as speakers: syndicated columnist, author, blogger and Fox News Channel contributor Michelle Malkin, commentator S.E. Cupp, and Big Journalism's Dana Loesch. Also, the very funny and somewhat snarky anti-global warming Irish film maker Ann McElhinney will be there. Also, hoping to meet-up with her co-laborer and Irish husband, Phelim McAleer. Being Irish (another story), I love listening to these two Irish conservative who have in the past taken on Al Gore's weird opinions and misrepresentations. On top of my list of men speakers will be the truthful Hugh Hewitt and my local radio favorite after "elrusbo" is Rusty Humphries. I listen to Rush and Rusty on KJMT Mountain Talk Radio who will also be attending RightOnline on radio row. Rusty visit my neck of the woods in the Arkansas Ozarks and spook at an Ozark TEA Party event attended by 2,000 people. Thanks again Rusty! Scott Rasmussen and Jonah Goldberg and several radio show hosts will also be speaking. Please, visit the complete list of key-note speakers at this link. 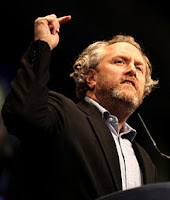 One of the most interesting non-speaking events will be the tribute "Honoring Andrew Breitbart." Andrew died this year at age 43 of a heart attack. Although he is missed, we will celebrate his work. Join us as we remember and honor the late Andrew Breitbart, as we watch a never before seen sneak peak of “Hating Breitbart” and a screening of “Occupy Unmasked.” Occupy Unmasked will be introduced by the films director Stephen K. Bannon. The workshops are numerous and the dinner program is always interesting. You can review the breakout events which includes workshops led by experienced bloggers, new media activists and subject experts at this link. Finally, on a personal note, one of the best aspects of RightOnline 2012 will be meeting up with fellow new media activists both those whom I know and those whom I will have the opportunity to meet for the first time. I will especially enjoy noting the exuberance of younger conservatives (over 50% of them younger than me by several decades). These budding activists will be responsible to carry the touch of freedom and liberty, and the constant call for fiscal responsibility and accountability by those elected to office and those hired by government at all levels. Please note: Most attending will be be on Twitter and tweeting using hashtag #RO2012. If you can't attend this great event, follow our tweets on Twitter via #RO2012; my tweets are at @arra. Also, articles from and about RightOnline 2012 will be posted on the ARRA News Service. Tags: RightOnline, 2012, Las Vegas, speakers, events, To share or post to your site, click on "Post Link". Please mention / link to the ARRA News Service. Thanks!